The Library Media Program strives to create a collaborative learning environment that operates as the hub of the school. We support the curriculum, promote reading and the appreciation of literature and teach the information literacy skills necessary to be responsible and effective users of ideas and information thus empowering all stakeholders in our school community to be enthusiastic and confident lifelong learners. 1. Open to students at any time during the school day with a pass. 2. Books may be checked out for two weeks. Students may renew books as needed. Books may be returned at any time before the due date and students may borrow another book. Parents please come visit us and check out books! Books are due back in two weeks and may be sent back with your child. We are open every day from at least 7:30 until 3:45. Remember to check in at the office before coming to the media center. We are also open for checkout during PTA meetings. GET DESTINY WHEREVER YOU GO! ✓ Check if a book is available in your library. ✓ Keep track of the books your child has checked out. ✓ Discover the top 10 Most Popular titles and new books arrivals. ✓ Create personalized, virtual bookshelves for books you child has read, is reading now or would like to read soon. 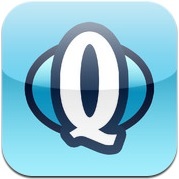 Download Destiny Quest mobile App as follows. ➣Enter “destiny.mcpsmd.org” to connect to our website. ➣Select “Clopper Mill Elementary School” as your school. ➣Students from K-2 use their school log-in and the generic password “books” to enter. ➣Students from grades 3-5 use their school log-ins and their passwords to access it. ➣To access the catalog using a computer or browser enabled device, please click on this link destiny.mcpsmd.org.